About a month ago, Tesla released a new 'Summon' feature for its Model S owners. With Summon, drivers can remotely start and move their vehicles without actually being in the driver's seat. Currently, the feature works for the simple task of getting your car out of the garage. This includes opening and closing of garage doors. The feature was included in the 'Autopilot' update version 7.1 last month. 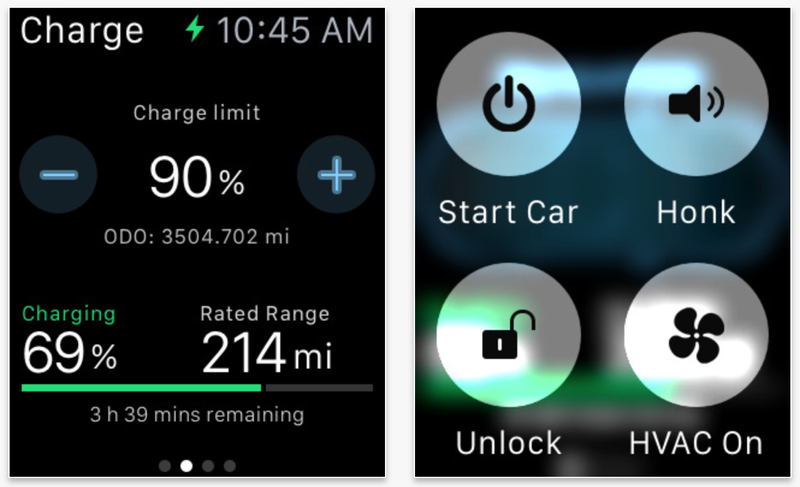 The Apple Watch app called 'Remote S for Tesla' can be used to remotely start your car, unlock your doors etc. And now, the latest update for the app has added the Summon feature capability. There's even a video below the break. Remote S for Tesla is developed by Allen Wong of Rego Apps. The official Tesla app does not allow the Summon feature to work. Wong has been able to add the feature to his third-party app though. He has also been able to get around the feature's 39 feet range limitation making the app a must have for Tesla Model S and Apple Watch owners. Remote S for Tesla costs $9.99 and is available in the App Store. That's a relatively small price to pay to almost feel like the Knight Rider!